HomeMasters building and pest inspections is an Adelaide family based business which commenced operation in 2005. 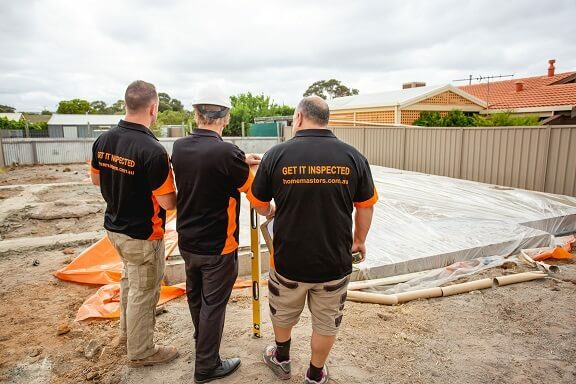 Since 2005 we’ve been proudly providing the best building and pest inspections in the Adelaide region. Our clients are at the centre of our business and we are proud to present their feedback on HomeMasters. Initially we were an owner operator business specializing in building inspections. As the years went by, it became clear that our customers were seeking an all in one solution (a combined building AND pest inspection). Getting a third party company involved to complete a pest inspection was not only logistically difficult (arranging the inspection time with the agent, vendor, client and pest control company), but was more costly for our clients too. The training began, and we were then able to offer the convenience of dual building and pest inspections. We have once again “upped the ante”, after securing an experienced and highly sought after pest control operator. This allows us to offer you exclusive services that others can’t. From our humble beginnings we currently have a team of 4 reliable and experienced inspectors. For you, this means we’re small enough to care but large enough to cope, while providing a well rounded service. Homemasters building and pest inspections is an Adelaide family based business which commenced operation in 2005. Initially we were an owner operator business specializing in building inspections. As the years went by, it became clear that our customers were seeking an “all in one solution” (a combined building AND pest inspection). Getting a third party company involved to complete a pest inspection was not only logistically difficult (arranging the inspection time with the agent, vendor, client and pest control company), but was more costly for our clients too. The training began, and we were then able to offer the convenience of dual building and pest inspections. We have once again “upped the ante”, after securing an experienced and highly sought after pest control operator. This allows us to offer you exclusive services that others can’t. From our humble beginnings we currently have a team of 4 reliable and experienced inspectors, which means we are small enough to care but large enough to cope.